Our deepest need is to live in conversation with God. To hear his voice. To follow him intimately. This is the single most life-changing habit that a human being can adopt, because it brings us back to the source of life. Yet most Christians have never been taught how to have a conversation with the Creator. 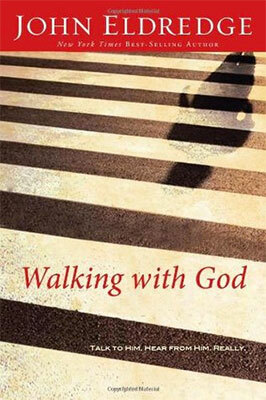 In this revised and updated edition of his classic Walking with God, John Eldredge opens his personal journals to tell a year’s worth of stories about walking and talking with the Lord. By putting words to the things God has shown him through some amazing experiences, Eldredge helps readers shed light on the miraculous truths that God is showing them right now. Some of John’s stories will help readers recall lessons they didn’t know had been forgotten, some will open up new horizons, but they will all help readers tell and interpret their own story: the story of their intimate walk with God. This is one of the best books I’ve read on actually hearing God speak to me. The advice is practical and applicable, as a good book on prayer should be.